Salman Khan, recently, in an attempt to promote his latest flick Jai Ho made a comment on Aam Admi Party that leads an optimistic revolution of change and progress in the country. Megastar Khan clearly revealed that he is neither interested in AAP nor his film has to do anything with the party. Dabangg Khan requested all the political parties to not to use both the lyrics of Aam Aadmi song and dialogues of his upcoming flick Jai Ho as a part of their promotion work in time of election. 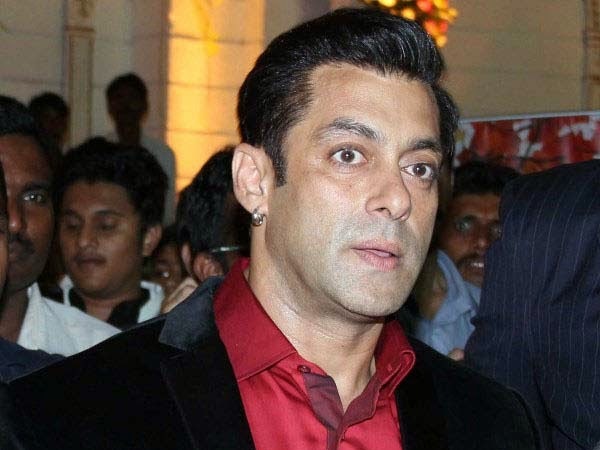 Jai Ho, scheduled to release on January 24, is directed by Salman Khan's brother Sohail Khan. Jai Ho features a folk song with the lyrics " Aam Aadmi udaas hai, baaki sab first class hai" with a Grand set and great number of dancers grooving with Salman. Salman explained his stand on neo-political movements in the country further, "If the system is corrupt, let the aam aadmi raise his awareness instead of blaming others. I fail to understand why the aam aadmi needs leaders to guide him." Yes, Salman doesn't think of common man as a herd that badly needs a new age messiah to lead him. Salman looked slightly irritated when he was bombarded with questions related to Aam Aadmi Party. When quizzed on his stand on supporting Aam Aadmi party, like Aamir Khan did, he replied "Arvind Kejriwal has won the election in Delhi, but he will have to prove himself." As a part of promoting Jai Ho, he said "My film Jai Ho is full of action, drama, romance and emotions and I would request people to watch the film.